Have You Tried Retirement Online? Doing business with NYSLRS has never been easier. Retirement Online provides a safe and convenient way to review your retirement account details and conduct transactions in real time. In many cases, you can use Retirement Online instead of sending forms through the mail or calling NYSLRS. Registration is easy and secure. 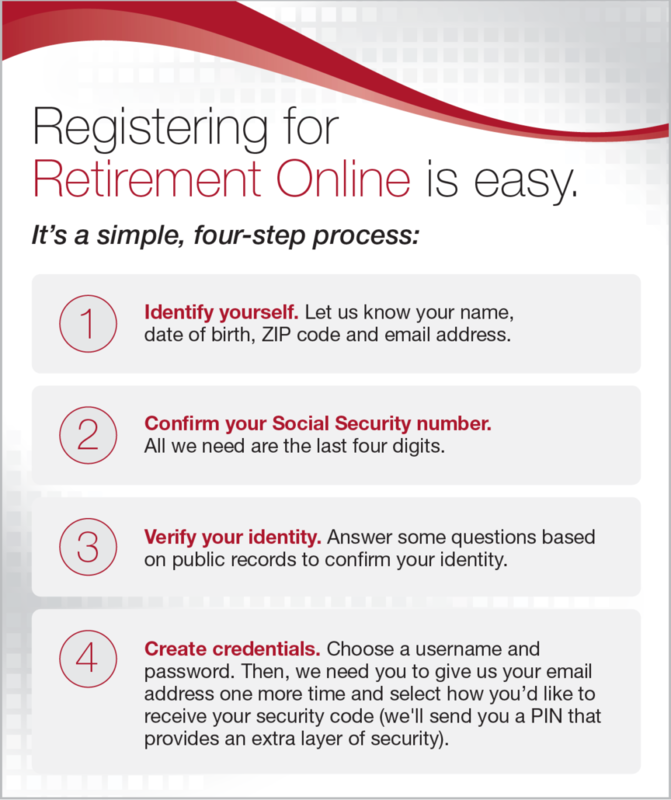 Retirement Online uses the same security safeguards used for online banking. You’ll be asked a series of security questions while registering. The questions are used to verify your identity. Once you register and sign in, members, retirees and beneficiaries can access a variety of time-saving features. View benefit information. Instead of relying on your annual statement or calling our Contact Center, with Retirement Online, you can review up-to-date information about your account when it’s convenient for you. Update contact information. Moving? No problem. Change your address, phone number or email address online instead of calling or emailing us. View or update beneficiaries. It’s a good idea to keep your beneficiary designations up to date. View your selections and submit changes instantly. Apply for a loan. You may be eligible to take out a loan against your NYSLRS contributions. Do it safely and conveniently with Retirement Online. Generate a verification of income letter. Sometimes a business or government agency requires you to verify your pension income. 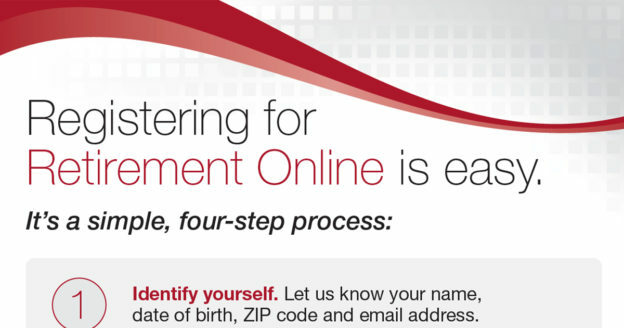 Generate and print an official income verification letter any time you need one. Generate a verification of income letter. More features will be rolled out in the future. In time, members will be able to estimate their projected pension benefit and purchase service credit, while retirees will get to manage their direct deposit information and more. Retirement Online is available weekdays, 6:30 am to 8:00 pm, and weekends, 6:30 am to 5:00 pm. The recommended web browser to use for Retirement Online is Internet Explorer, but you can also use Google Chrome. If you need help with your retirement online account, please call our Contact Center at 1-866-805-0990 (or 518-474-7736 in the Albany, New York area). You can also email us using our secure contact form. Content last revised October 1, 2018. This entry was posted in General News and tagged apply for a loan, beneficiaries, benefit information, contact information, Loans, members, New York State & Local Retirement System, NYSLRS, Retirees, Retirement Online, update beneficiaries, verificiation of income on May 30, 2018 by NYSLRS. To many of us, life is a journey with retirement as a much anticipated destination along the way. Every year worked and each dollar saved brings us closer to that destination. If it is a journey, members of the New York State and Local Retirement System (NYSLRS) have a head start, with retirement benefits guaranteed for life. 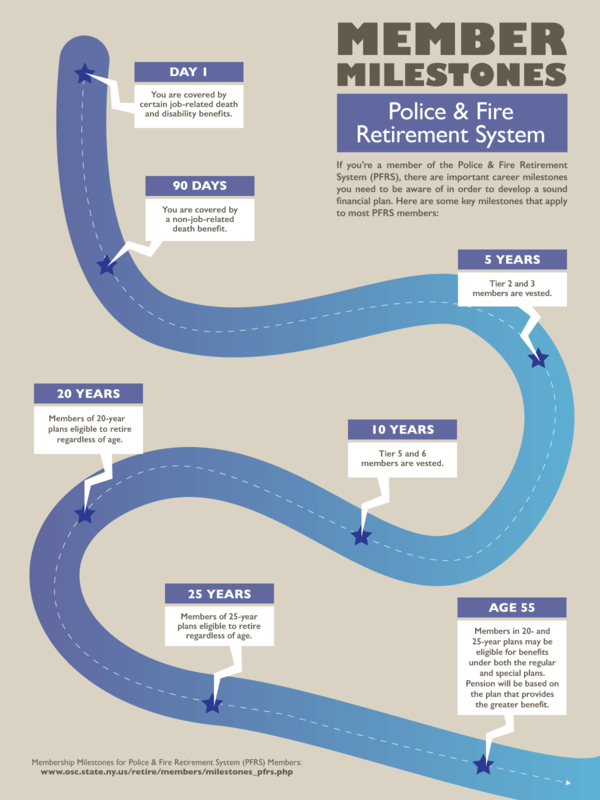 And, with most NYSLRS members eligible to retire as early as age 55, the finish line may be closer as well. But, the journey doesn’t end when you reach retirement. So, what happens next? It turns out that question is more important than you might think. Your answer can help make retirement a time of fun, relaxation and intellectual stimulation like you’ve always pictured. Research reveals secrets to a healthy retirement. Don’t be an island. We spend our careers making friends and forging connections with colleagues. When we retire, much of the daily human contact that was easy and almost automatic is suddenly gone. Get a hobby. Whether it’s traveling or golf, volunteer work or woodworking, regular activities add valuable order to your days, offer opportunities to exercise and make excellent shared interests for new friendships. Use the right side of your brain. Conceptual activities like painting, writing or even gardening promote both physical and mental health. Learn something new. Should your ongoing education take the form of an in-person class or workshop, that’s all the better. 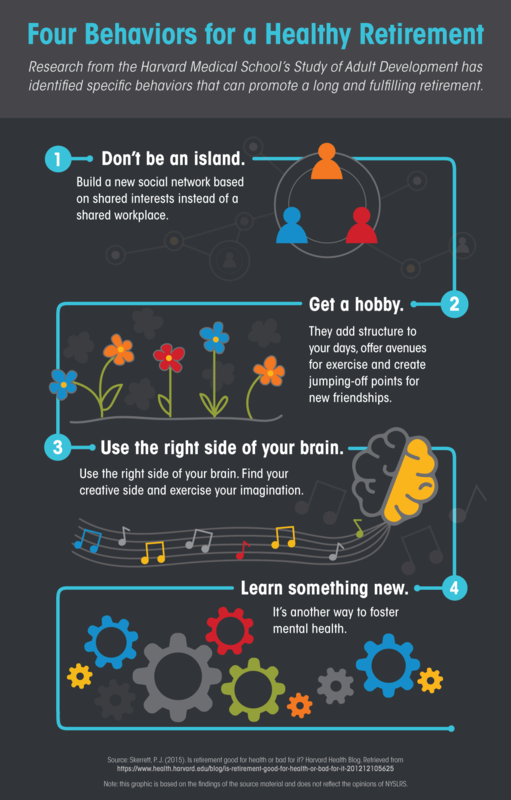 Take the opportunity to meet new people and expand your social network. Whatever you decide to do when you no longer work, a smooth retirement process will start you off on the right foot. Check out our Life Changes: How Do I Prepare to Retire? publication. It offers resources to help you decide when to retire, a step-by-step guide to the retirement process and even a monthly expenses worksheet to help you budget for life after retirement. Content last revised September 24, 2018. This entry was posted in General News and tagged healthy retirement, New York State & Local Retirement System, NYSLRS, NYSLRS Retirees, Preparing for Retirment, retirement, retirement planning on May 23, 2018 by NYSLRS. Since taking office in 2007, Comptroller Thomas P. DiNapoli has made fighting fraud one of his top priorities, helping ensure the integrity of the New York State Common Retirement Fund. But have you been as diligent protecting your own money, including your retirement savings? Most of us are aware of common scams, emails from princes using poor grammar or phone calls about phony sweepstakes prizes. And we’re confident that we would never fall for these schemes. Still, con artists steal billions of dollars every year from sensible, intelligent people. And you’re most likely to encounter a con artist on the phone. Con artists work best when their victims are in a heightened emotional state – excited about that prize money or terrified because they owe a large debt. And that emotional state makes it hard to spot the red flags. But if a caller is trying to scare you or manipulate your emotions, that should be a red flag in itself. There are other red flags to watch for. 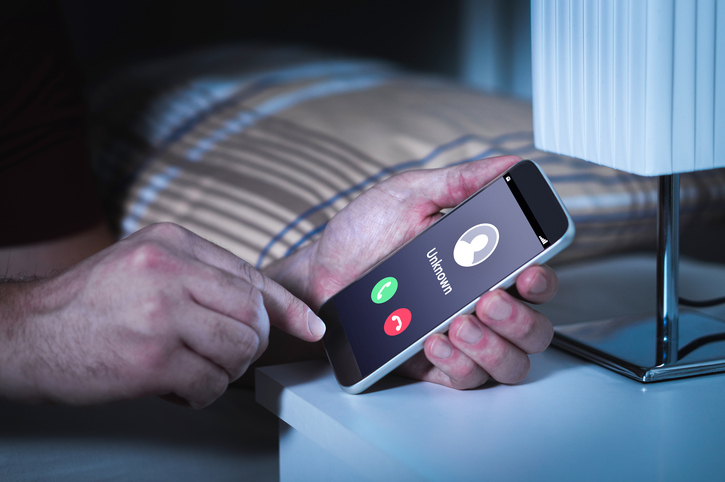 Does the caller use high-pressure sales tactics or threatening language? Do they ask for payment in advance for a product or service or require an unorthodox payment method, such as wire-transfer, pre-paid debit card or gift card? Do they insist that you act now? One common ploy is a call warning that you’ll be locked up if you don’t pay your back taxes right now. But the Internal Revenue Service (IRS) always notifies delinquent taxpayers by mail before they call. The real IRS will not demand immediate payment, ask for your credit card or debit card numbers over the phone, or threaten to arrest you. Likewise, your bank won’t call and ask for your account information. And a legitimate computer company isn’t going to call because they are getting messages from your computer about a technical problem. There are many variations, but a few basic principles can help you avoid scams. Generally, NYSLRS will not call you unless we are following up on a contact from you (a phone call, email, online inquiry, form or letter). If you do get a call from us, you can use your NYSLRS ID to identify yourself. If you suspect someone is posing as a Retirement System representative, please notify us using our secure email form at www.emailNYSLRS.com. Be wary. Sounds too good to be true? It is. If you didn’t enter the sweepstakes, you’re not going to win it. Don’t provide your Social Security number, bank account information or other sensitive personal data to anyone you don’t know. Sleep on it. If the caller is legit, they won’t mind you taking time to think it over. If it’s an automated call or a number you don’t recognize, let it go to voicemail. Content last revised May 16, 2018. This entry was posted in General News and tagged Comptroller DiNapoli, con artists, fighting fraud, fraud, New York State & Local Retirement System, NYSLRS ID, NYSRLS, phone scam, Red Flags, Scam, Scammers on May 16, 2018 by NYSLRS. This week we proudly celebrate the more than 600,000 members and 400,000 retirees of the New York State and Local Retirement System (NYSLRS) for their service to the people of New York State. Public Service Recognition Week was created in 1985 to honor the men and women who serve our nation as federal, state, county and local government employees. They dedicate their careers — and sometimes their lives — to keep others safe and provide for the common good. Their work makes life in our communities better. Congress officially designated the first week of May as Public Service Recognition Week. This year, it is being celebrated May 6 through May 12. 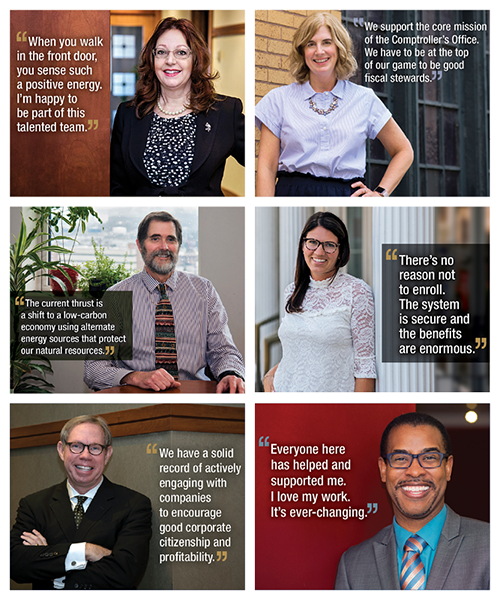 NYSLRS is full of stories about State workers and municipal employees finding value and meaning in the work they do, especially when they help other New Yorkers. The NYSLRS members that work here in the Office of the State Comptroller (OSC) are no exception. For example, there’s Dan Acquilano, who works in the Local Government and School Accountability division of the Comptroller’s Office. He travels across the state teaching municipalities how to manage their financial operations. His efforts have helped many municipalities and school districts manage their way out of financial distress. Or, there’s Derrick Senior, who began his career as a mental health counselor. But, for the past 13 years, he’s helped keep OSC’s technology up and running at the CIO-Service Delivery Department. And, there’s Stacy Marano. She leads a team of attorneys, investigators and forensic auditors to ensure entities receiving state money – vendors, politicians, municipalities and state agencies – don’t misuse public funds. Her work helps law enforcement develop cases and root out fraud. These are stories you may not hear about, but their work and the efforts of thousands of other public servants help make New York State a better place to live. Whether they are protecting our communities, fighting fires, clearing our roads after snowstorms or simply helping government function better, NYSLRS members deliver the critical resources and services many New Yorkers depend on. Even outside of work, many NYSLRS members and retirees give back to our state by serving their communities as volunteers and supporters of charitable causes. New York State Comptroller Thomas P. DiNapoli is the administrator of NYSLRS and trustee of the Common Retirement Fund. His public service career began when he was elected as a trustee to the Mineola Board of Education at the age of 18, making him the first 18-year-old in New York State to hold public office. Comptroller DiNapoli is understandably proud about the career path he has chosen, and he often speaks about the contributions that New York’s public employees make, not just as engaged citizens, but as individuals who bring value to the communities where they live. Content last revised May 7, 2018. This entry was posted in General News and tagged Comptroller Thomas P. DiNapoli, New York State & Local Retirement System, New Yorkers, NYSLRS, Office of the State Comptroller, Proud Public Servants, Public servants, Public Service, Public Service Recognition Week on May 7, 2018 by NYSLRS.